​Atletico Madrid have confirmed that Alvaro Morata suffered an ankle sprain in Tuesday's 2-0 win over Girona, and is set for a spell on the sidelines.  | INJURY UPDATE@AlvaroMorata suffers an ankle sprain. The striker is pending response to treatment. In a post on their ​official website, ​Atletico confirmed the news of ​Morata's injury. 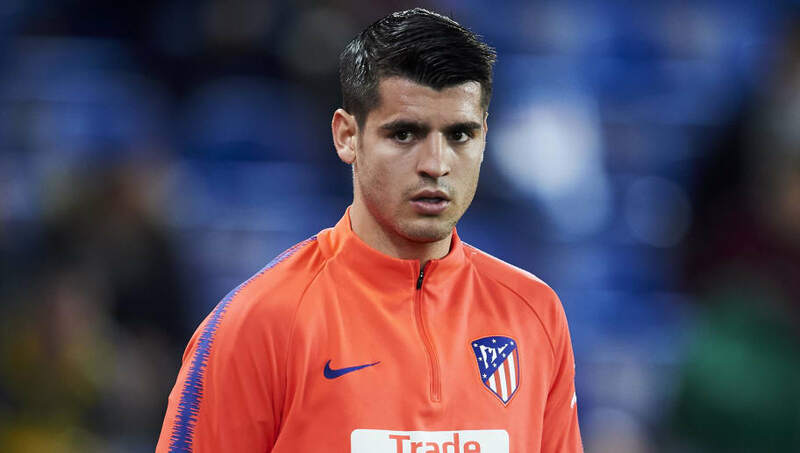 They wrote: "Alvaro Morata underwent tests at the Clinica Universidad de Navarra on Wednesday to know the exact extent of the injury he suffered in yesterday’s match against Girona at the Wanda Metropolitano and that prevented him from finishing the match. Morata moved to the club in January as ​Chelsea opted to replace him with ​Gonzalo Higuain, and he has enjoyed an impressive run of form with Los Rojiblancos. He has registered four goals and one assist in ten outings for his new club, but now appears set for a spell on the sidelines. Morata joins ​Diego Costa, ​Thomas Lemar and Lucas Hernandez on the treatment table. With both Costa and Morata unavailable, Diego Simeone will likely be forced to turn to ​AC Milan loanee Nikola Kalinic to partner Antoine Griezmann in attack. The latest injury concern comes at a terrible time for Atletico, who are set to face rivals ​Barcelona on Saturday, in a game which could prove vital in the race for ​La Liga title. Victory over Ernesto Valverde's side would move Atletico within five points of the league leaders, but they will likely be without Morata for the crucial encounter.